Get ready to say WOW! when you step through the double doors of this beautifully kept home. 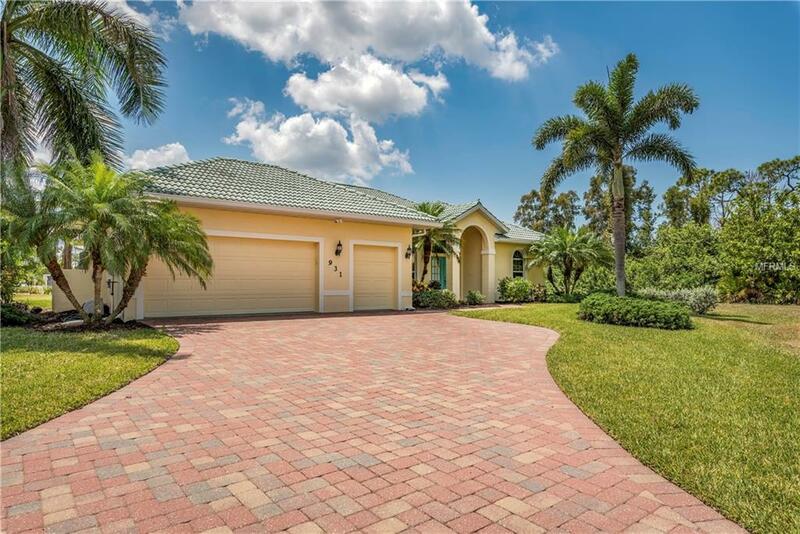 You'll be irresistibly drawn across the living room to the lanai and pool out to the "five-acre back yard that is Burnt Store Marinas Pelican golf course. Built in 2006, this contemporary home is designed to look as fresh in 2018 as it did when it was built. Inside youll find cathedral and coffered ceilings and an open concept great room plan with split bedrooms. Expanding your living space you have hideaway sliders leading to the lanai and over-sized, end-to-end pool deck. The homes secluded location in Burnt Stores coveted enclave of Linkside ensures you at once the privacy you want, the friendly companionship of wonderful neighbors and a community youll be proud to drive into every time. The home boasts many amenities like granite counters, diamond set neutral tile, storm impact windows & sliders, 2-car plus golf cart garage, heated pool & spa and much more. Burnt Store Marina is our area's premier gated community boasting 27 holes of challenging golf, fitness center, tennis, miles of walking and biking paths plus the largest marina in SW Florida with immediate access to Charlotte Harbor, one of Florida's best cruising and fishing areas. From here the world is yours: north to Punta Gorda and the Peace and Myakka rivers, south to Matlacha Pass and Sanibel, west to Cabbage Key, Cayo Costa, and the Gulf of Mexico. Come for a look and you'll be hooked! BE SURE TO TAKE THE 3-D TOUR.